Choose a payment method most convenient to you. How can you tell if you're at a secure site? Look at the URL of the website. 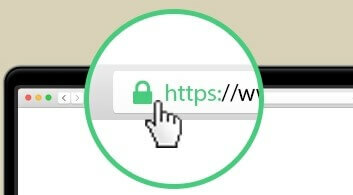 If it begins with https instead of http it means the site is secured using an SSL Certificate (the s stands for secure). SSL Certificates secure all of your data as it is passed from your browser to the website's server.